Payment Instructions: Accepted methods of payment are Visa and Mastercard only. Credit cards will be charged immediately following auction. Shipping cost are solely the buyer’s responsibility. Matt Maring Auction Co. will assist in packaging and shipping. All firearms shipping will be done and handled by an FFL dealer. This is regardless of age of firearm. All firearms will be shipped to an FFL dealer of your choice. You will have to provide Matt Maring Auction Co. with a copy of the FFL dealers license within 3 Business days of the auction, which is Wednesday February 20th, 2019. If you do not provide us with an FFL dealer license you will forfeit your right to the firearm. There will be a $25.00 transfer fee plus all shipping cost; this will be charged to your credit card that is on file with Proxibid.com. You can send your FFL dealer license to either mmaring@citlink.net or fax to 507-789-5227 please include your name and which lots you purchased. Shipping for all non-firearms will be handled by the auction company and will use FedEx or USPS, there will be a $5.00 per shipping box fee added to your shipping cost. All shipping cost will be charged to the credit card that you have on file. If you have any questions, please contact us at 800-801-4502. Shipping Instructions: Shipping costs and shipping arrangements are the buyer's sole responsibility. All items need to be removed the day of auction. Please View payament instructions for all shipping information. All Sales are Final. All items are sold 'As Is, Where Is' without warranty of any kind,expressed or implied. NOT RESPONSIBLE FOR ANY ACCIDENTS. ANY ANNOUNCEMENTS MADE AUCTION DAY MAY TAKE PRECEDENCE OVER PRINTED MATERIAL. Property is open to thorough public inspection. It is the Bidder's responsibility to determine condition, age, genuineness, value or any other determinative factor. Matt Maring Auction Co. Inc. may attempt to describe the merchandise in advertising on the internet and at the auction but makes no representations. In no event shall Matt Maring Auction Co. Inc. be held responsible for having made or implied any warranty of merchantability or fitness for a particular purpose. Bidder shall be the sole judge of value. Bidder agrees that everything is sold as is where is and that they may not return any item(s) they purchase. Matt Maring Auction Co. Inc. is providing Internet pre-auction and live bidding as a service to bidder. Bidder acknowledges and understands that this service may or may not function correctly the day of auction. Under no circumstances shall bidder have any kind of claim against Matt Maring Auction Co. Inc. or anyone else if the Internet service fails to work correctly before or during the live auction. Matt Maring Auction Co. Inc. will not be responsible for any missed bids from any source. Internet bidders who desire to make certain their bid is acknowledged should use the proxy-bidding feature and leave their maximum bid 24 hours before the auction begins. 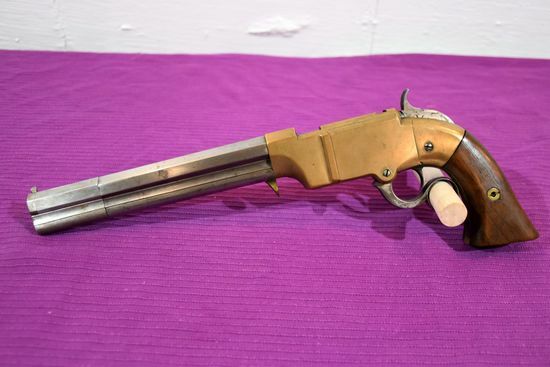 Matt Maring Auction Co. Inc. reserves the right to withdraw or re-catalog items in this auction.